By leaving a gift in your Will you can help The Lost Dogs’ Home make a significant difference to the lives of thousands of stray and abandoned dogs and cats. A gift to the Home in your Will is a practical, lasting way to show that you value the place of dogs and cats in our world, and in the lives of so many people. 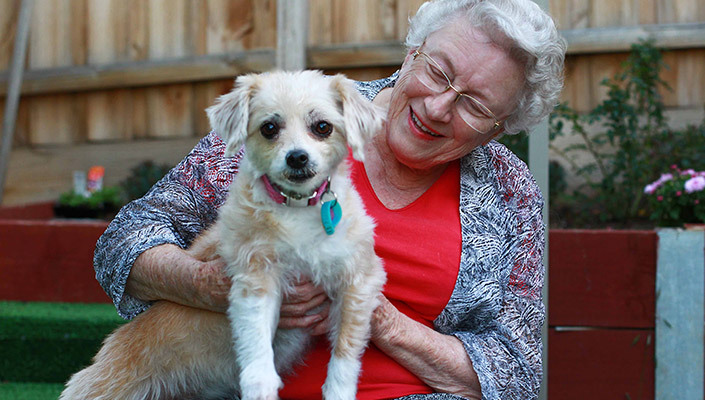 Bequests secure the long term future of The Lost Dogs’ Home, ensuring that we will always exist to rescue and care for future generations of dogs and cats without owners. Every year demands on the Home increase as greater numbers of animals need our help. Without doubt the greatest challenge we face will be paying for the new facilities needed to keep pace with growing demand. Provide proactive services and initiatives that will help reduce the number of lost, irresponsibly owned and abandoned pets such as low cost desexing, online Pet Licence and further educational campaigns. Provide vital services and programs to lost and abandoned dogs and cats which include adoption, foster care, behaviour rehabilitation, free post adoption training support and life changing veterinary care. Advocacy at all levels of government to fight for a better deal for our companion animals.